"We make wet basements & crawlspaces dry!" 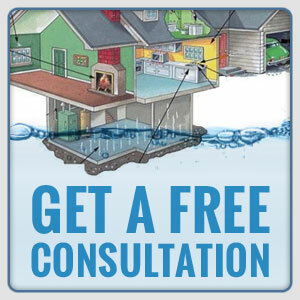 You have invested all you life in your home or business – don’t let a cheap or outdated sump pump ruin your day. Sump systems are common place in Northwest Montana – but unfortunately they are all too often installed after a disaster, or installed incorrectly. At Montana Basement Solutions, we only install pumps systems that we can put our name on – professional grade pumps and electronics that runs circles around the “competition” in the local big box store or hardware store. 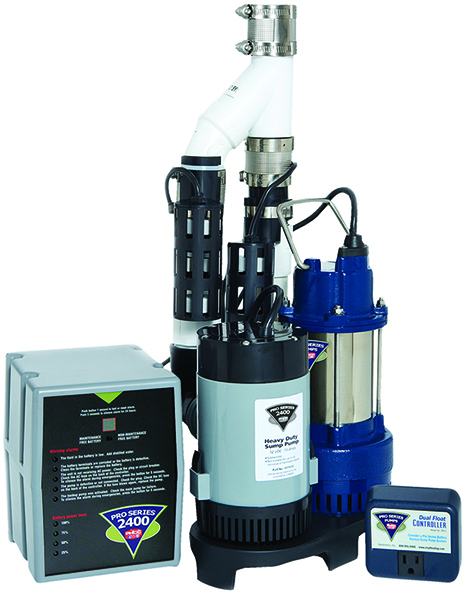 Even most plumbers are charging big bucks to install pumps that simply can not compete with our Pro-Series line. Call us today to hear more about why Pro Series will make a difference for you. Professional sump basins, sump systems, and sump pumps – along with options such as back up pumps, battery systems, and remote notification equipment will help keep your home dry and flood free. 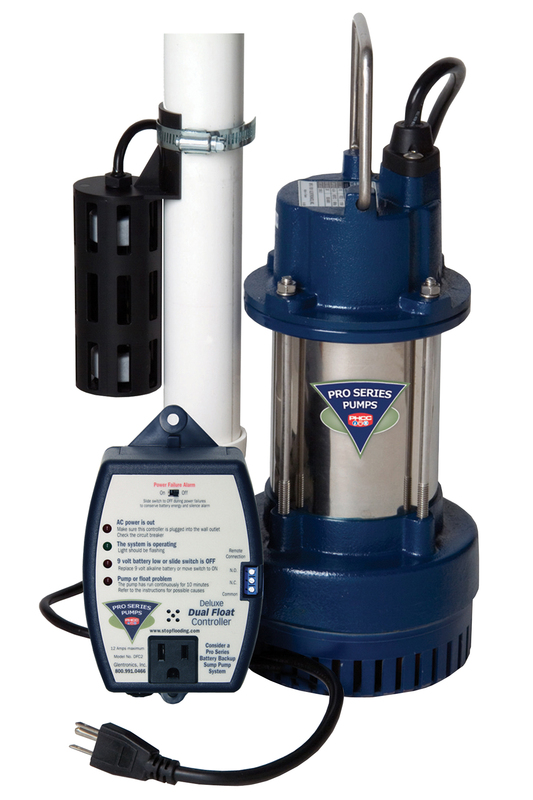 Our best system available – the 2 pump back-up system with electronic control system – all but eliminating failures that cause costly damage in basements and crawlspaces. Rated for 3000 gal/hr on the primary pump, and an impressive 2400 for the back-up – all at 10′ lift. These ratings require a professional installation to manufacturer specs. 4 year warranty from manufacturer when installed by Montana Basement Solutions. Our basic sump system (no back up) is the best in the market. Sold metal, and internal float that can not get “stuck” like those cheap brands and models in the big box stores. This is professional grade equipment – for professional protection against flooding and recurring sump failures. Rated to pump out 3000 gallons per hour with a 10′ lift. NOTE: Must be plumbed properly to achieve rated specifications. A 4 year warranty is standard when installed by Montana Basement Solutions. Really? Unfortunately our technicians see this kind of thing all the time. 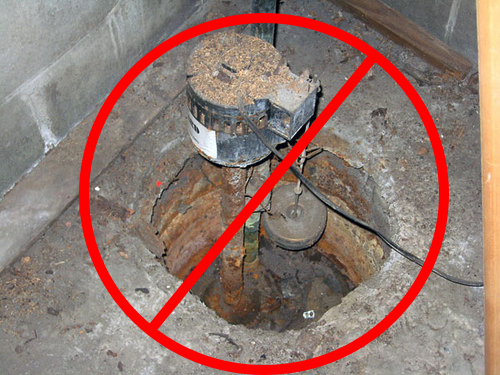 Sump pumps are often an afterthought in home building, when in reality they should be of paramount consideration in areas prone to high ground water, spring run-off, or heavy snow. Call MBS today to remedy this sad situation, and install a pro-grade system to protect your home from flooding and water damage. Do you have more questions or want us to visit your home/workplace?
" The crew was great! The results were AWESOME. Thank you Montana Basement Solutions!! " © 2019 Montana Basement Solutions. All rights reserved. Website by FW. Montana Basement Solution offers fixes and repairs for Mold Issues, Water Issues and New Construction. Located in Montana and North Dakota, we fix wet basements and crawlspaces in Montana, North Dakota, Kalispell, Whitefish, Columbia Falls, Billings, Missoula, Bozeman, Great Falls, Helena, Libby, Polson, Eureka, Bigfork, Flathead County, Lake County, Lincoln County, Missoula County, Yellowstone County, Madison County, Minot, Williston. Montana Basement Solutions offers Mold Testing, Mold Remediation, Mold Prevention, Water Removal/Dry-Out, Foundation Crack Repair, Crawlspace Encapsulation, Sump System Repair/Upgrade, Interior/Exterior Drain Systems, Foundation Waterproofing, Excavation Services.